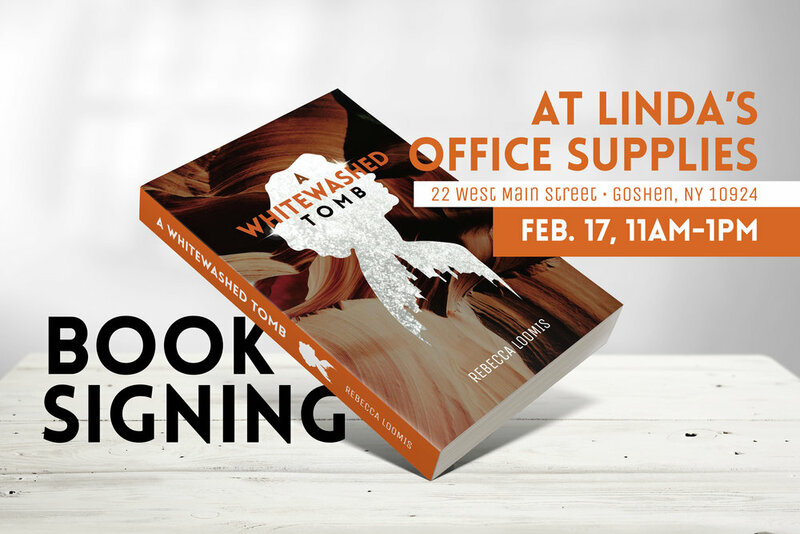 Join me for my first ever book signing at the adorable Goshen favorite, Linda's Office Supplies! There will be paperback copies of A Whitewashed Tomb available for purchase ($15 cash or card), and plenty of cool things to check out at Linda's. If you've already ordered a copy, bring it in to get signed, or just stop by to say hello! I'd love to chat with you and meet your friends. See you there! Check out Linda's website ahead of time for a sneak peak of what unique gifts are in stock: http://lindasofficesupplies.com/ and RSVP for the event on Facebook.